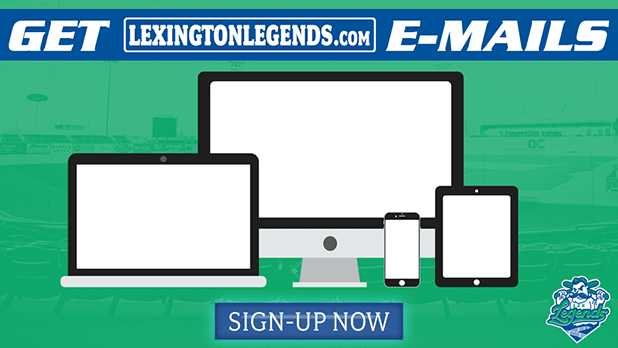 Sign-up to get stachetastic news and updates delivered to your inbox from the Lexington Legends, the Single-A affiliate of the 2015 World Series Champions Kansas City Royals. A member of the South Atlantic League playing their home games at Whitaker Bank Ballpark in Lexington, Kentucky. By submitting this form, you are granting: Lexington Legends, 207 Legends Lane, Lexington, Kentucky, 40505, United States, www.lexingtonlegends.com permission to email you. You may unsubscribe via the link found at the bottom of every email. Emails are serviced by CrowdConnect through Tickets.com.